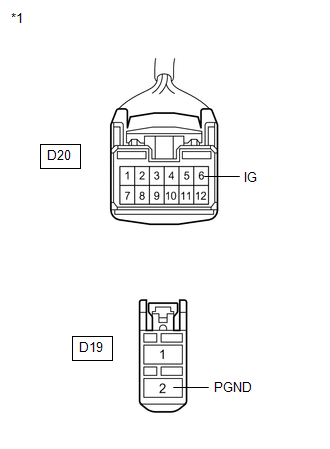 The power steering ECU distinguishes the ignition switch status as ON or off through the IG power source circuit. Inspection the fuses for circuits related to this system before performing the following inspection procedure. (e) Enter the following menus: Chassis / EMPS / Data List. 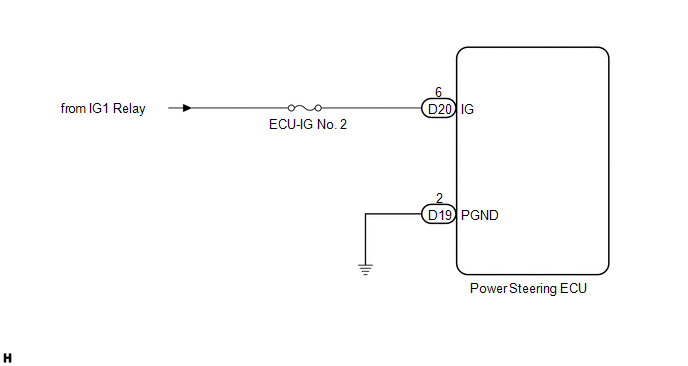 (f) Select the items "IG Power Supply" in the Data List and read the value displayed on the Techstream. Normal condition value is displayed the Techstream. (a) Disconnect the connectors from the power steering ECU.